Covering topics ranging from literature to philosophy, history to social criticism, this is a snapshot of thought on 20th-century Europe (and the world) by one of Europe's sharpest wits and ablest pens. With chapter titles ranging from "The Miser and His Friends" to "The Red Reactionary," from "The Separatist and Sacred Things" to "The New Theologian" and "The Romantic in the Rain," this volume includes 39 brief sketches of individuals, each one of whom illustrates an aspect of contemporary society. Social, historical, and religious thought all figure prominently in this book, making it of great use in any study of the literary, religious, and social aspects of early 20th-century England and Europe generally. It will be of interest to students and scholars of the essay in English literature. 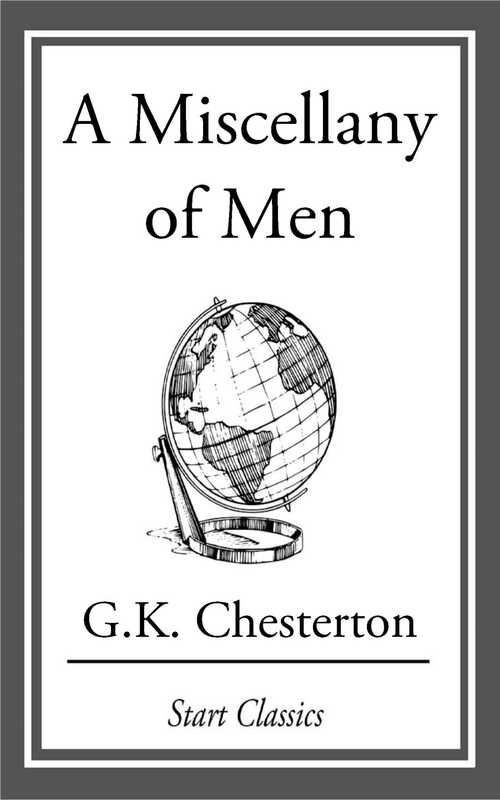 It is a fine introduction to Chesterton's social criticism, which remains unique for its willingness to criticize some of the uncomfortable truths about capitalism without straying toward an inhuman bureaucratic socialism.